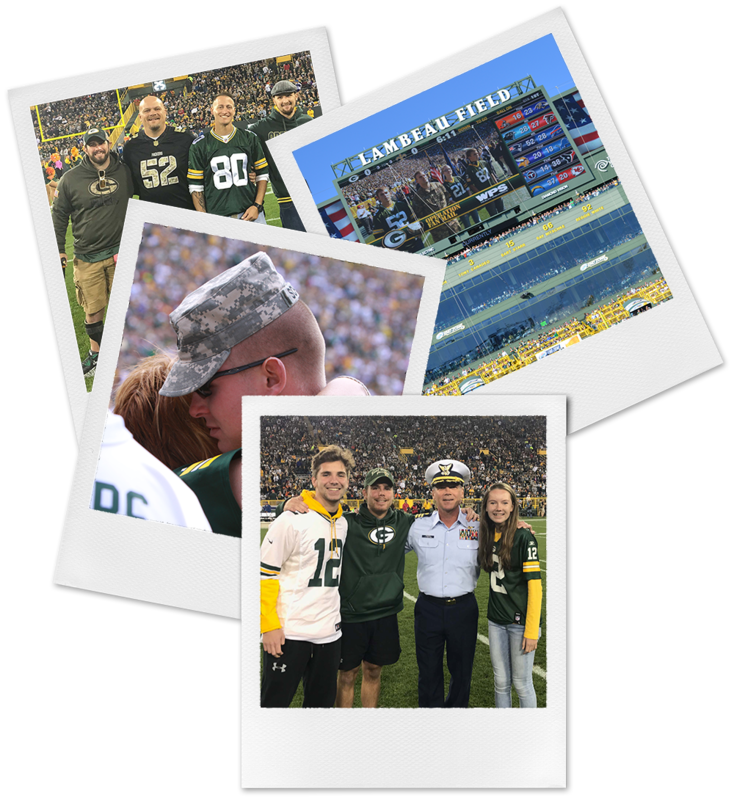 Operation Fan Mail, the program that recognizes military families and veterans at each Packers home game, will mark its 12th season in 2018, and the 10th year it has been presented by WPS Health Solutions or its affiliates. The program, which debuted in 2007, is designed to honor families with a member who is on active duty, or a member who is a veteran. The Packers and WPS Health Solutions will host a family at each 2018 home game and recognize the members on the field during pregame activities. A total of 107 families have been saluted during the past ten seasons. "We are proud to honor members of the military, veterans and their families through Operation Fan Mail this year for the 12th season," said Packers President/CEO Mark Murphy. "We salute these brave men and women, along with their loved ones, for their courage, dedication, and sacrifice. We are looking forward to recognizing them and thanking them for their service at Lambeau Field this season." "WPS Health Solutions is proud to partner with the Packers for the 10th consecutive year as they mark their 100th season of football in Green Bay," said Scott Kowalski, WPS Executive Vice President, Marketing and Business Development. "Through Operation Fan Mail, the Packers and WPS express appreciation to the men and women of the U.S. military for their commitment to defending freedom and their countless sacrifices for our nation. We look forward to another season of exciting Packers football while we support our armed forces." The Packers and WPS Health Solutions are asking interested families, or friends of eligible families, to submit an essay, 500 words or less, on why a particular family should be saluted. Essays can be sent to Operation Fan Mail, P.O. Box 10628, Green Bay, WI, 54307-0628 or online using the form below. Families intended for recognition are those that have a member serving on active duty or a member who is a veteran. The family member can be a spouse, mother, father, son, daughter, or sibling. In addition to being recognized on-field prior to the game, selected families will receive four tickets to the game and a $150 Packers Pro Shop gift card courtesy of WPS Health Solutions.